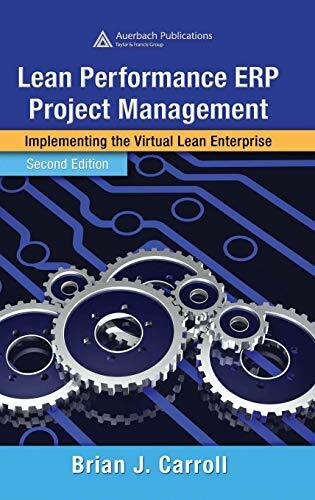 Best book on Lean ERP. Far as I know, the only book. Now in its' 2nd edition, and ahead of it's time still. Contains a project plan and toolkits for lean implementation. Womack and the Lean Luddites say "Throw your MRP away." This book explains why not. You could always shut off the other machines in the factory as well as the MRP machine. Read this book, and don't go back to the information management stone age with the Womackians.